On this date in 1938 Adolf Hitler informed his senior mili­tary com­manders of his plans to march into neigh­boring Czecho­slo­va­kia and erase that coun­try from the map. No serious objec­tions were raised by those who heard Hitler ring the death knell for Czecho­slo­va­kia and for the Euro­pean order that had been in place since 1919. Six months earlier Hitler had called his gen­erals together to spell out his plans for war on Ger­many’s south­eastern door­step, and one of the two nations in his cross­hairs, his native Aus­tria, had in fact ended its carto­graphi­cal exis­tence following the Anschluss (union) with Germany in March 1938—its new name was Ost­mark (East­ern March). The second nation targeted by Hitler was Czecho­slo­va­kia, a 1919 creation. Hitler hacked off a chunk of that coun­try when his army marched into German-speaking Czech Sude­ten­land on Octo­ber 1, 1938, following the signing of the Munich Agree­ment by the leaders of England, France, Germany, and Italy the day before. Earlier, in August 1938, German lawyer and conserva­tive poli­ti­cian Ewald von Kleist-Schmen­zin left Germany for England as a sec­ret emis­sary of Chief of the Gen­eral Staff Gen. Ludwig Beck and Adm. Wil­helm Canaris, head of the Ab­wehr (Ger­man mili­tary intel­li­gence). Kleist-Schmen­zin had two main issues to discuss with Win­ston Chur­chill, then simply a mem­ber of the Brit­ish Parlia­ment. The first was to beg England to stop appeasing Hitler on the diplo­matic front, and the second, more critical issue, was to gauge whether England would be interested in helping those in Germany who were trying to topple the Nazi regime. Chur­chill allegedly told Kleist-Schmen­zin to “first bring us Hitler’s head.” After the Fuehrer’s head was delivered, the con­spir­a­tors would supposedly get the help they wanted to drive the Nazis from power. Actually, it was Kleist-Schmenzin, Canaris, and Beck who lost their heads in the after­math of the botched July 20, 1944, bomb plot against Hitler. By then Chur­chill, who for the past four years as British prime minis­ter had been leading his nation in a fight to the death with Nazi Germany, had turned a remark­ably cold shoul­der to plotters like Beck, Canaris, and Claus von Stauffen­berg who had nearly suc­ceeded in killing Hitler. To Churchill there was little dif­ference between a Nazi and a good German. Indeed, he heaped scorn on the very peo­ple whose actions might have ended the war a year early, saying that the 1944 assas­si­na­tion bid was a case of “the highest person­al­ities in the German Reich murdering one another.” Churc­hill even threw water on Oper­a­tion Fox­ley, a British plan to assas­si­nate Hitler, drafted by two British intel­li­gence services, the Special Oper­a­tions Exec­u­tive and the Secret Intel­li­gence Service. Churc­hill was reluc­tant to make Hitler a martyr to many Germans by imple­menting Fox­ley. In the end it was up to the Fuehrer him­self, in his Berlin bunker in April 1945, to do what all the plotters had hitherto failed to do: kill Hitler. 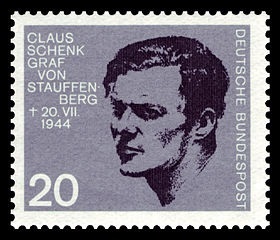 Left: Claus von Stauffenberg (b. 1907) was a colonel in the Ersatz­heer (Replace­ment Army) and the driving force behind the July 20, 1944, plot to assas­si­nate Hitler and take con­trol of Ger­many. For his involve­ment in the failed bomb plot known as Oper­a­tion Valkyrie, he was exe­cuted in the court­yard of the Bendler­block (Head­quarters of the Army) in the early morning hours of July 21, 1944. Staffen­berg’s role in the bomb plot and his exe­cution is vividly retold in the 2008 Tom Cruise film, Valkyrie. 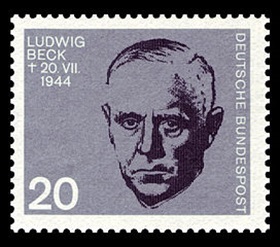 Right: Ludwig Beck (b. 1880) was a German gen­eral and Chief of the German General Staff during the early years of the Nazi regime. He became a major leader with­in the con­spir­acy against Hitler and would have been pro­vi­sional head of state (Reichs­verweser) had the July 20, 1944, plot succeeded. Beck committed suicide on July 21, 1944, thus escaping a humil­i­ating trea­son trial before the noto­rious People’s Court (Volks­gerichtshof) in Berlin. The People’s Court, presided over by Judge Roland Freisler, was the Nazi regime’s highest judicial body for political crimes (politische Strafsachen). 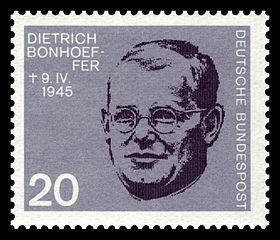 Left: Lutheran pastor, theologian, and Nazi dis­si­dent, Diet­rich Bon­hoef­fer (b. 1906) was involved in plans by mem­bers of Adm. Wil­helm Cana­ris’ Ab­wehr (German Mili­tary Intel­li­gence) to assas­si­nate Adolf Hitler. He was arrested by the Gestapo in April 1943 and exe­cuted by hanging in April 1945, along with Canaris, while they were impri­soned at Flossenbuerg concentration camp in Northeastern Bavaria. 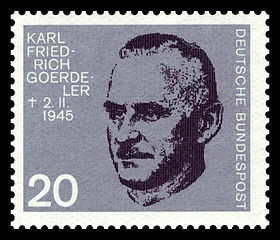 Right: A politician, economist, civil ser­vant, and oppo­nent of the Nazi regime, Karl Friedrich Goer­de­ler (b. 1884) would have served as chan­cel­lor of the new govern­ment had the July 20, 1944, coup suc­ceeded. After a trial in Freisler’s People’s Court, Goer­de­ler was sen­tenced to death and exe­cuted by hanging on Febru­ary 2, 1945, at Ploetzen­see Prison in Berlin. His exe­cu­tion was post­poned time and again in the hope that, under torture, he would reveal the names of his co-conspirators. Left: In contact with the resis­tance group around Karl Friedrich Goer­de­ler, Wilhelm Leusch­ner (b. 1890) would most likely have become Ger­many’s vice-chan­cel­lor after the July 1944 coup d’état. Arrested in mid-August 1944 and brought before Freis­ler’s People’s Court, Leusch­ner was sen­tenced to death and exe­cuted at the end of Septem­ber 1944 at Ploetzensee Prison in Berlin. 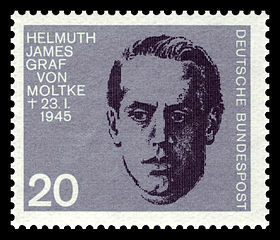 Right: Helmuth James Graf von Moltke (b. 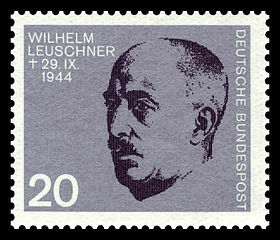 1907) was a leading human rights advo­cate in Nazi Ger­many and a founding mem­ber of the Krei­sau Circle resis­tance group. In Janu­ary 1945, Moltke found himself in Freis­ler’s People’s Court, along with sev­eral of his fellow regime oppo­nents. Moltke was sen­tenced to death for trea­son on Janu­ary 11, 1945, and exe­cuted twelve days later at Ploetzensee Prison in Berlin.